Vaccinating children annually against influenza virus interferes with their development of cross-reactive killer T cells to flu viruses generally, according to a paper in the November Journal of Virology. In this study, first author Rogier Bodewes of Erasmus Medical Center, Rotterdam, The Netherlands and his collaborators collected blood samples from Dutch children with cystic fibrosis, who are vaccinated annually against influenza, and from healthy control children who are not vaccinated, and tested both sets of blood samples for the presence of virus-specific killer T cells. The majority of virus-specific killer T cells are directed to conserved viral proteins, that is, proteins that are very similar among different flu viruses, unlike the rapidly evolving, highly variable proteins which are targets of antibodies induced by influenza vaccines. “Vaccinated children with [cystic fibrosis] will develop lower cross-reactive virus-specific CD8+ T cell responses than unvaccinated children,” says the study. The research points up potentially conflicting policy outcomes. Annual flu vaccines are effective against seasonal flu, but could leave people more vulnerable to novel pandemics, says Bodewes, as induction of virus-specific killer T cells caused by childhood flu infection may reduce morbidity and mortality rates from pandemic influenza viruses. Referring to the paper, he says that the findings “highlight the need for the development and use of universal influenza A virus vaccines for children, especially in light of the pandemic threat of avian influenza A/H5N1.” Nonetheless, he says that efforts to develop such vaccines have for several decades been stymied by the sheer complexity of targeting inner proteins. More information: R. Bodewes, P.L.A. Fraaij, M.M. Geelhoed-Mieras, C.A. van Baalen, H.A.W.M. Tiddens, A.M.C. van Rossum, F.R. van der Klis, R.A.M. Fouchier, A.D.M.E. Osterhaus, and G.F. Rimmelzwaan, 2011. Annual vaccination against influenza virus hampers development of virus-specific CD8+ T cell immunity in children. J. Virol. 85:11995-12000. "Efficacy and effectiveness of influenza vaccines: a systematic review and meta-analysis Study"
Byron comments on the study that it "essentially says the flu vaccine fails to meet the hype. In fact, they couldn’t find any credible data to show that the flu vaccine did anything effective at all in individuals over the age of 65. Studies of this type are especially problematic for the shaky germ theory of Western medicine and its public health platform centered on endless vaccinations. How can you get people to line up for a mercury-containing flu vaccine when the benefit is highly questionable? The study found that in healthy adults the flu vaccine was only 59% effective, and some years far less effective than that. No high quality study on the effectiveness of the flu vaccine in children or pregnant women could be located, sort of odd for a belief system that expects the population to have unwavering confidence. It wasn’t that the researchers didn’t try to find credible research. They looked at 5707 studies over the past 45 years, settling on only 31 that met appropriate criteria. 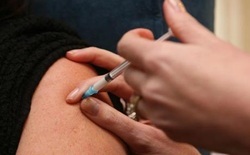 The simple fact of the matter is that flu vaccines have limited usefulness"